lawn care & fertilization services. 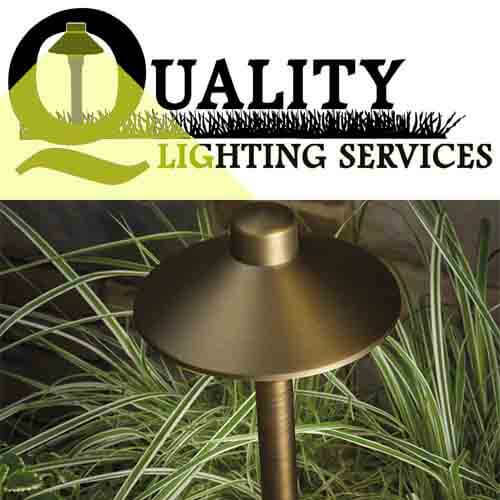 Quality Services is committed to addressing your landscape watering needs by applying the appropriate technology. Whether it is, rotary nozzles that apply water slowly or pressure regulated heads that apply water evenly. Smart Controllers are a great addition to your irrigation system. It will help take the guess work out of runtimes, by taking into consideration real time conditions as well as forecasted weather. 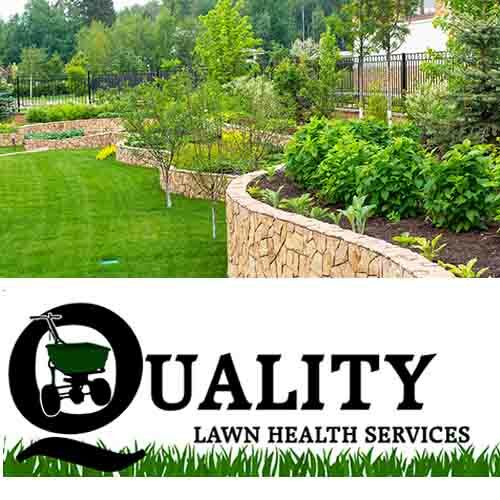 Quality Lawn Health Services offers you the very best in environmentally sustainable lawn care and fertilization services. Every lawn is unique. Your lawn does not have the same needs that your neighbor’s does. We use only Ohio licensed applicators that receive extensive training before servicing your lawn. On going and continuing education for our staff makes us the best we can be! We are current on the latest technologies and developments in lawn care service. We will prove to you that we are far superior to national lawn care companies that promise but simply cannot deliver. We are dedicated to our community, we live here and raise our families alongside yours. Doing what is best for you and your lawn. Creating and maintaining your homes ambiance is what we are all about. Accent your outdoor living area and provide an added level of security. Lower your carbon footprint by installing LED bulbs that cut your energy use by 80%. The life of these bulbs are rated in years, not hours. Spring aeration with over seeding. Through the power and security of Paypal, you can now pay your bill online securely using a major credit card. Best yet, you don’t even have to have a Paypal account to do so! Need help programming your controller? Need to reset? Check out our FAQ page to watch how to videos. I just wanted to let you know how happy we are with the results we have seen in our back yard after Bryant Levis completed the aeration, fertilizing and slice seeding in April. Bryant picked the timing, the process and the appropriate seed for the job and the results are beyond our expectations. For the first time our back yard grass really looks good. In addition, his follow up to inspect the results of his work are commendable and not often found in today’s, not so good, customer service environment. I actually bumped into him in my back yard, as he had stopped in to walk around and inspect it. Highly commendable… Bryant has earned my trust and respect for his competency and is by far the best yard and grounds professional I have ever worked with. 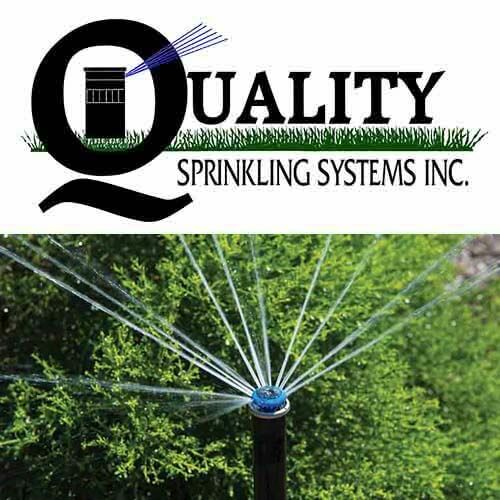 We are planning to completely renovate our front yard in the fall with Quality Sprinkler, primarily because of the confidence we have in Bryant. We have used many fertilizing companies in the past and not one compares to the impressive quality of lawn that your company creates. John is extremely involved in making the Irrigation industry stronger. He is HIGHLY educated on saving you water and has a passion for what he does. They have been maintaining and servicing my sprinkler system for 6 years. Their technicians are professional, personable, and highly knowledgeable. John operates his business the good old fashioned way…with honesty, integrity and a focus on customer service. He will offer you the best solution at the most cost effective price. Excellent service – had been a customer for some years now and been pleased with their work – but this morning really showed their commitment to customer satisfaction – called this morning and left a message about seeing some weeds. Was expecting a call back but instead about an hour later a service truck pulled up and the technician got on his little tractor and sprayed the yard.